← New Website and Blog! Hizzah! I recently acquired some fun new toys, the first of which is a motorized telescope mount that’s popular among time-lapse enthusiasts. 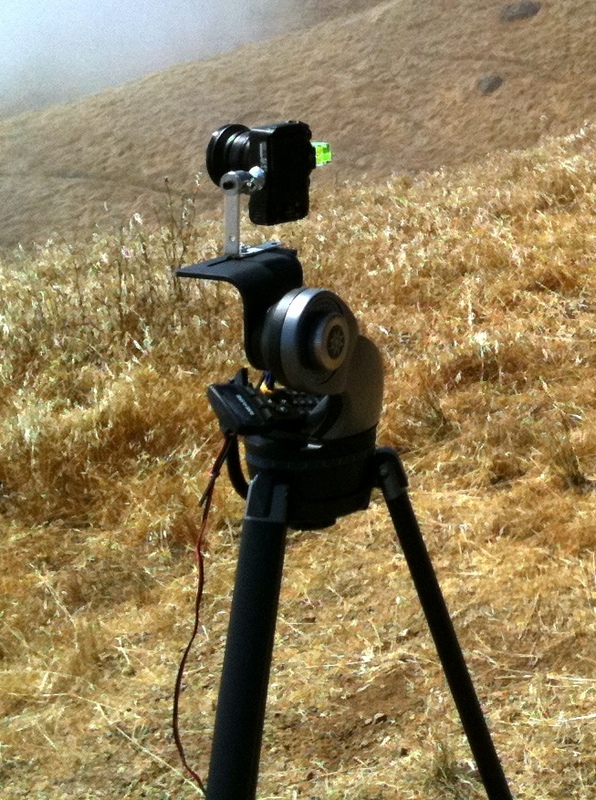 Time-lapse movies are usually fairly static, but this makes it possible to introduce movement such as panning shots. The camera snapped an image every five seconds while the motorized mount slowly rotated, making a single rotation in 90 minutes. I assembled the images into this panoramic movie, in which each “pane” is actually the same movie, slightly offset in time. The panes combine to make a single 360-degree view. For this I used a neutral density filter and shot 2-second exposures at roughly 5-second intervals, as I wanted people and passing cars to blur out a bit. The camera made two full rotations in two hours. UPDATE: Some more recent pan-lapse movies. This entry was posted in Pan-Lapse, Time-Lapse and tagged panoramic. Bookmark the permalink. This is a great idea! can’t wait to do it myself. This is a very good suggestion that I want to try.